Setbacks are normal and we all face challenges. 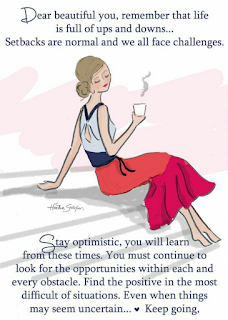 Stay optimistic, you will learn from these times. You must continue to look for the opportunities within each and every obstacle.